A couple of months ago a Music Video appeared on Youtube released by a man who is called THE PROPHET by his fans that are all over the world due to his ‘Prophecies’ being part of INTERNET LEGEND. Since that time the music videos have been having hit after hit for predicting mass death events all over the world. He exact areas he pointed to are where all our recent news events have recently had mass shootings, terrorism, earthquakes and cop killings. Here is the music video about where MASS DEATH will hit the USA and remember the areas he pointed to a couple of months ago with little RED DOTS or DOTS OF BLOOD have now had every major headline for mass death events in the USA since he released the video a couple of months ago. JUST LOOK AT THE MAP IN THE VIDEO. 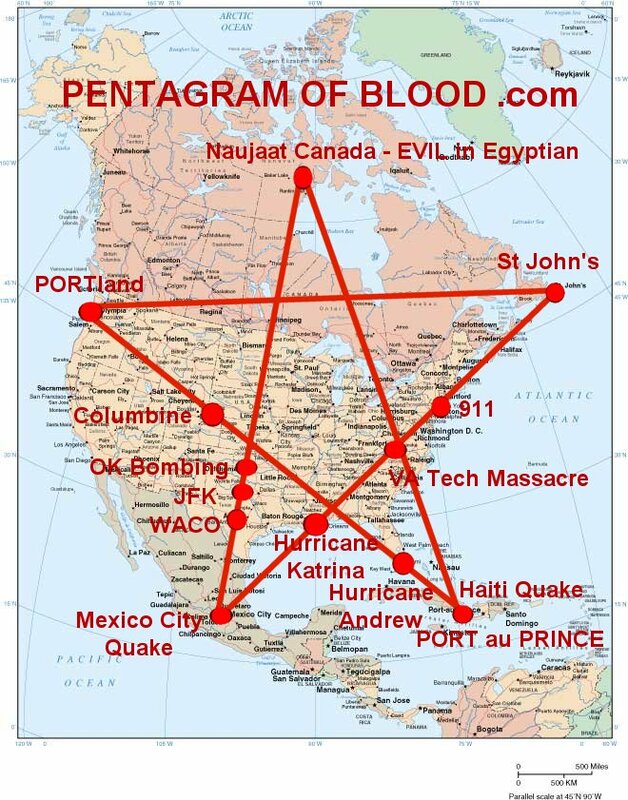 The BLOOD DOTS of the Pentagram of Blood in the video cover the Seattle area (recent Mall Shootings) and Dallas (Cop Killings) and Baton Rouge (Cop Killings) and New York City (recent Terrorism Bombings).